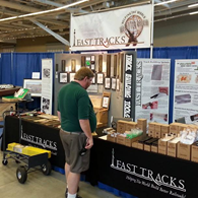 Fast Tracks manufactures quality tools & supplies for building model railroads. 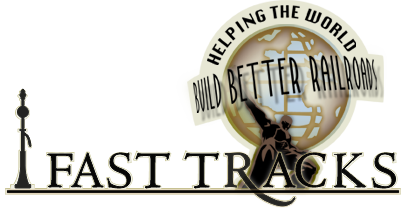 The company was co-founded in 2003 by Tim Warris – the inventor of the Fast Tracks track assembly system. Tim is currently building a detailed and precisely scaled model of the New Jersey Central - Bronx Terminal in HO scale. We host several track building clinics at various locations around North America every year. Watch our Facebook page for clinic and show announcements. 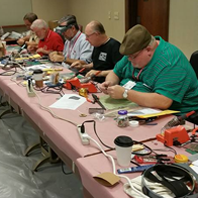 You will find us at the NMRA National Convention every year, plus we attend a select number of smaller venues. Tim Warris developed the Fast Tracks system in 2003 while building his Port Kelsey Railway in HO scale. Striving for a better way to handlay accurate track, he developed a fixture to aid in building trackwork faster and easier. Those first fixtures have since grown to a library of over 5,000 unique products that are focused on helping modelers build better trackwork and layouts. 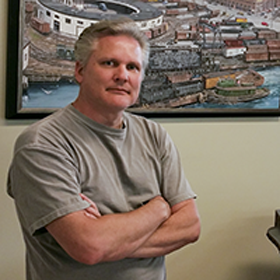 Terry Firth started out as a loyal Fast Tracks customer. When we asked our customers if someone was interested in helping us with our customer service Terry stepped up and filled the role perfectly. 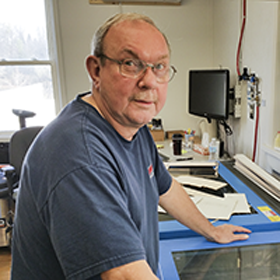 Initially answering our 1-888 calls and emails, Terry has since relocated to Port Dover and is now in charge of all our production. Terry wears a lot of hats at Fast Tracks and we are lucky to have him! Clark Kooning was Fast Tracks first customer. 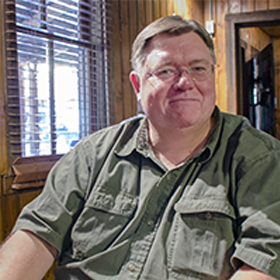 After seeing Tim's initial fixtures in use, Clark was quick to adopt the Fast Tracks system and was instrumental in exposing the tools to the model railroading community. To this day, Clark can be found working with Fast Tracks at train shows and clinics.